It seems that the Motion Picture Association of America (MPAA) would like to make a bit more money from first-run films, and if they could cut out the costs of working with film prints, distributors, producing thousands of movie posters and so on, why not? While details are still sketchy as to how the whole process will work, it looks like the film industry is looking into options that will allow it to deliver high definition versions of films to your TV before they hit DVD or Blu-ray, and possibly while they are still in theaters. Apparently the MPAA wanted this to be a blanket waiver, but the FCC limited it to a 90-day window on films not yet released to disc. The idea is that this will allow the film industry to deliver films to you before they hit disc, or even while they are still in the theater for those that can’t make it there for one reason or another. Generally going to the movie theater has become an enormous pain as films never start on time, you have to sit through endless commercials, ticket prices have jumped up and it has turned more and more into a feeling of you are being hustled through like cattle. Being able to sit back and watch the latest films in the comfort of your own home would even be worth a price higher than most tickets to a goodly number of people. “The first, and best way to view movies will always be in movie theaters – and nothing can replace the pleasure this brings to millions and millions of people all across our country and the globe,” Pisano said. “But for those people unable to make it to the theater and interested in viewing a recently released movie, thanks to the FCC, they will now have a new option. For other consumers who prefer standard, linear, on-demand or DVD or Blu-ray options, these services will be unchanged.” And of course those methods will stay unchanged because those revenue streams account for a huge portion of the profits. This is another bid for control by the MPAA. You have the 28-day delay windows for Netflix and Redbox now, so less loss of revenue of sales as people will grow impatient waiting for the rentals. Then you add up all the other expenses the film studios will save in distribution and marketing materials, while collecting who knows how much in rental fees, and you can see this is all about the filmmakers making even more money. All those theaters that shut down, the number of unemployed, the loss in sales of concession items (in turn those companies possibly laying off workers), and suddenly you see the MPAA just cost a lot of people money while saving itself a ton. What say you? 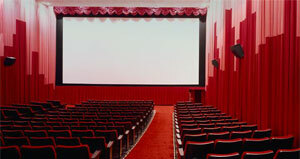 Would you pay a premium to watch HD versions of movies in your home as opposed to going to the theater?